What a dapper feline! 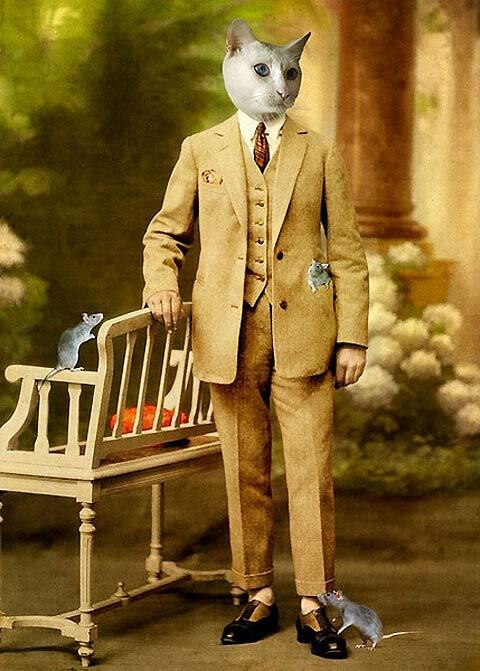 Artist Martine Roch makes collages of old-timey photographs and pictures of animals. Click on the image to see more at Who Killed Bambi. Next Post Here’s lookin’ at you, kid!